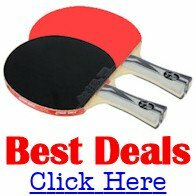 Need to find a table tennis club in the UK? If you're looking for a table tennis club in the UK, you can start your search right here. Firstly, I have a list of table tennis clubs in the UK which have been submitted by visitors to my web site. You can view the list of clubs in the UK right here. And if you belong to a table tennis club in the UK yourself, why not add YOUR CLUB to the list ... it's really easy to do and it's completely FREE. England, Ireland, Scotland and Wales are members of the European Table Tennis Union and they each have their own websites with plenty of information to help you on your way. Avon, Bedfordshire, Berkshire, Buckinghamshire, Cambridgeshire, Cheshire, Cleveland, Cornwall, Cumbria, Derbyshire, Devon, Dorset, Durham, Essex, Gloucestershire, Hampshire, Herefordshire, Hertfordshire, Isle of Wight, Kent, Lancashire, Leicestershire, Lincolnshire, Middlesex, Norfolk, Northamptonshire, Northumberland, Nottinghamshire, Oxfordshire, Shropshire, Somerset, Staffordshire, Suffolk, Surrey, Sussex, Warwickshire, Wiltshire, Worcestershire, Yorkshire and South Yorkshire.